For some time, I’ve known the Matošević wines. A well known name up in Istria and generally an easier Croatia wine to find abroad, they’ve been producing what I consider to be solid and delicious takes on the local varietals. I had a chance to catch up at the Zagreb “Wine Insanity Weekend” a couple of months ago and update my tasting notes on all their wines. Especially interesting was their new Grimalda line of wines. 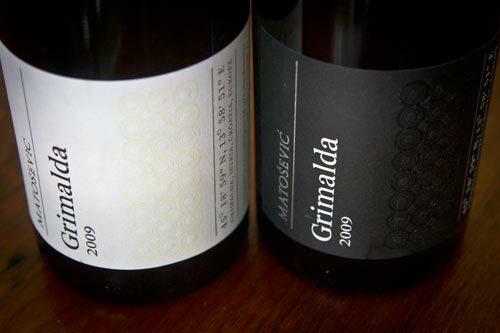 These are named after the region where the vineyards are, in the center of Istria. It provides a rather different character for the grapes and the fact that they are blends is interesting in and of itself given that Croatian winemakers tend to stick to single varietal wines.